AUSTRALIA’s most loved multicultural wedding show now coming to Goldcoast ‘ Brides of Asia 2018’. 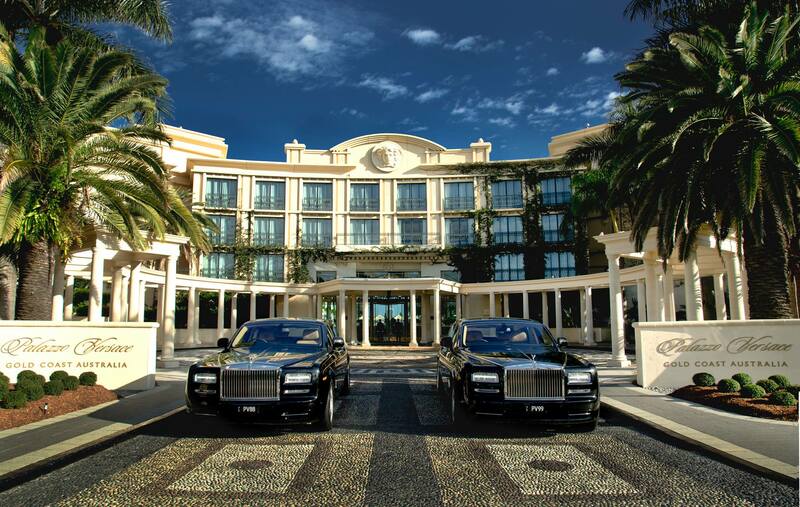 Opening its door first time on 23rd September 2018 at Palazzo Versace @ Goldcoast. We are proud to showcase our beautiful brides adorning exclusive bridal ware, Makeup and Jewellery. 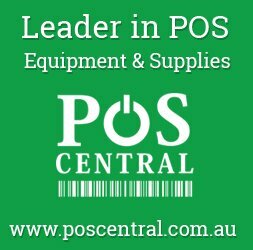 Beautifully choreographed by the founder and creative head who has produced numerous shows across many states in Australia – NOWMAN KAREEM Co-hosted by glamorous & talented, pride of Australia, none other than – UPMA Fashionista ( Face of brisbane Mrs Global 2018 & International published model ) State director Bold and beautiful HEENA MOHANLAL from Celebrity Makeovers. This show is certainly not to be missed guys. 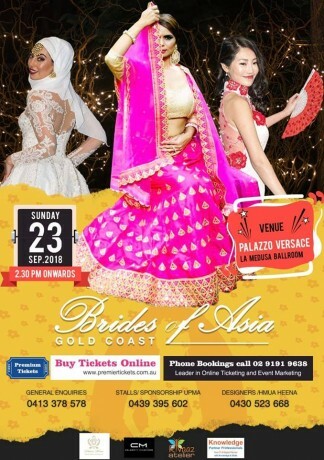 So come, let your hair down and join us to celebrate this sensational afternoon filled with beauty and glamour..
Premier Tickets Australia is proud to be the online ticketing partner for BRIDES OF ASIA @ Palazzo Versace, 94 Seaworld Dr, Main Beach QLD 4217.